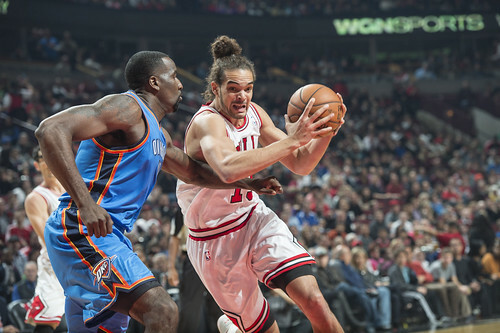 If Thursday on TNT’s national TV and in the United Center was an assessment for the Bulls against the Western champion Oklahoma City Thunder, the Bulls may be better than anticipated but not as good as they hope they can be. 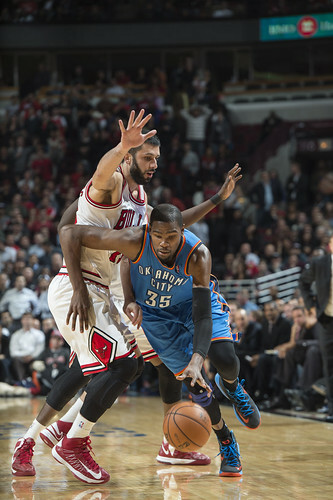 And then the Bulls got beat by Kevin Durant, who scored 10 of his team high 24 points in the fourth quarter including the decisive shots — with a high degree of difficulty — over good Deng defense. Which is really no surprise. 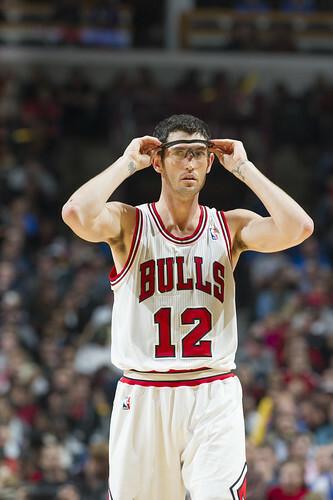 And not much you can do given the Bulls circumstances without Derrick Rose. The games are on the schedule, and lots of teams have injuries. Plus, Bulls coach Tom Thibodeau isn’t one for excuses. But TNT put up a graphic showing the three leading fourth quarter scorers last season: Durant, Kobe Bryant and Rose. 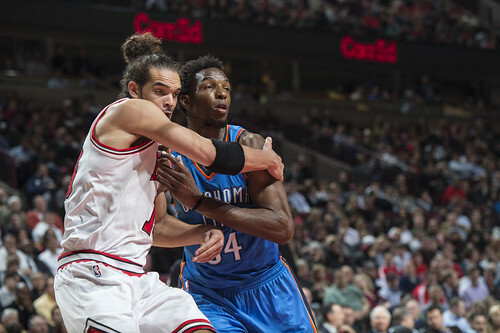 Perhaps the Bulls could have held the Thunder under 31 fourth quarter points after a terrific third when the Bulls held Oklahoma City to 18 and led 72-66 entering the fourth quarter. 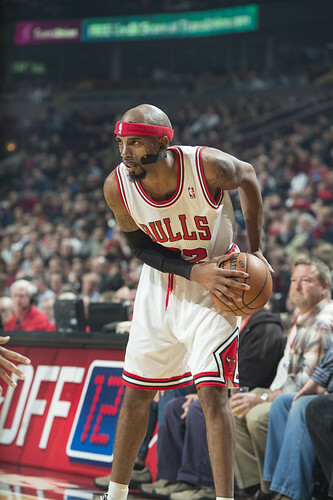 And the Bulls had their chances, which we heard plenty of on the loss to the Hornets last week as the Bulls now are 3-2. 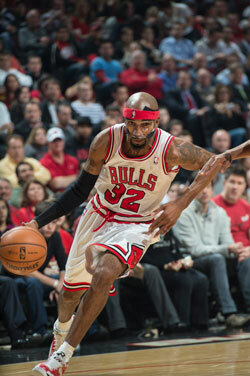 After Richard Hamilton, who was very good with 20 points and eight rebounds, tied the game at 85 with a pair of free throws with 4:16 remaining, the Bulls missed with a Deng three, a Kirk Hinrich straight away 23 footer, a Joakim Noah point blank tip, a Noah baseline 18 footer, Noah blocked by Serge Ibaka, a Deng turnover on a drive and a Hamilton 20 footer sandwiched around a Hamilton 22 footer. That was five misses in six shots with a turnover, the shots not particularly contested. 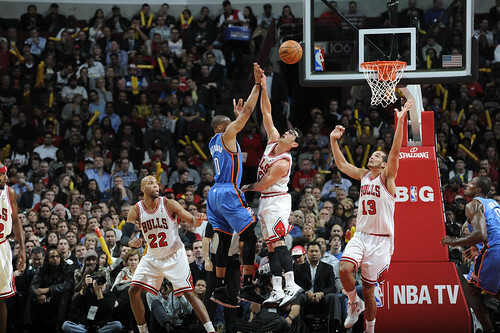 You couldn’t do that against the Bulls with Rose, and you can’t do that against the Thunder with Durant. Silenced most of the game by teammate Russell Westbrook’s individual play and bothersome defense by Deng, the Thunder finally decided to search out Durant. Quite the initiative given he’s won the scoring title the last three years. But three quarters through the game he’d had as many shots as Ibaka and six fewer than Westbrook. I see it more as the Thunder being so good they don’t want to run away with too many wins and leave the season to be boring. So they avoid allowing Durant to have too many shots since there’s basically no one who can stop him. What else could it be? Because then leading 89-87 after Hamilton’s miss with 1:09 left, the Thunder isolated Durant on the right wing and he took one quick step and threw in a little push over Deng for a 91-87 lead with 46.8 seconds left. Gibson came back with a 20 footer on top to get within two with 35.1 seconds left, though he’s not exactly who you’d expect taking that shot then. But again came Durant on the right box. He took a step back to the free throw line to take a pass from Thabo Sefolosha and then faded back off his left foot, a la Dirk Nowitzki, and swished a 17 footer for a 93-89 Thunder lead with 19.5 seconds left. The Thunder closed it with free throws with Durant getting his first two attempts of the game to give him eight of the Thunder’s last 12 points, all in the last 3:17. TNT had a great sound bite with Durant wearing a microphone in the game and coming off the floor to tell coach Scott Brooks afterward that he’s there when he’s needed. 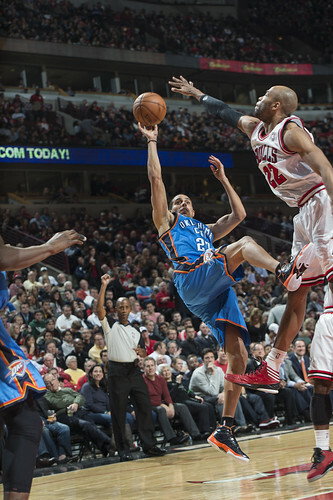 “Everybody knows that’s his time,” said Westbrook, as even he did. It’s true of the great ones, and the Bulls, as we know, are missing theirs. It just makes it that much more difficult against the top teams. So you break down the errors and mistakes and quibble over whose fault it was and how it could be avoided. Yes, there was that dry spell late in the fourth quarter. 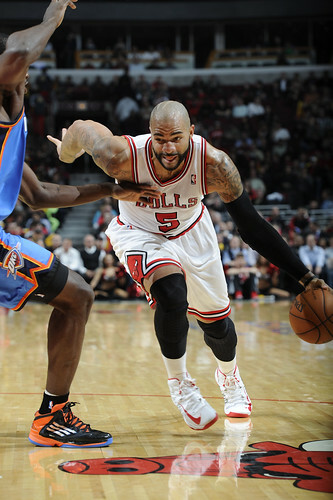 Carlos Boozer, who started the season well, had nine points and 11 rebounds but three of nine shooting. He’s 10 of 35 the last three games, averaging 8.3 points. But Gibson had just four points and two rebounds in almost 25 minutes Thursday. 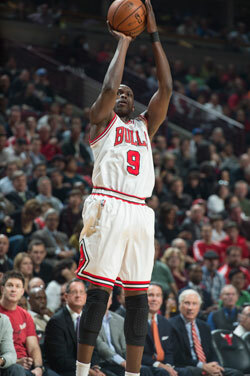 Deng, Hamilton and Hinrich carried the offense with Noah adding 13 rebounds and six assists. But Noah had nine points, and with the limited production the Bulls now count on him to score more as he came into the game averaging 16 points. But this one was probably most lost off the bench. 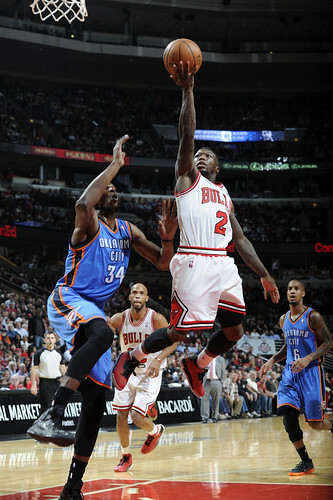 And not only because the Thunder reserves outscored the Bulls bench 29-14. The Bulls had two exceptionally poor junctures, opening the second quarter with only Deng among the starters and then early in the fourth quarter with at least three starters off the floor. 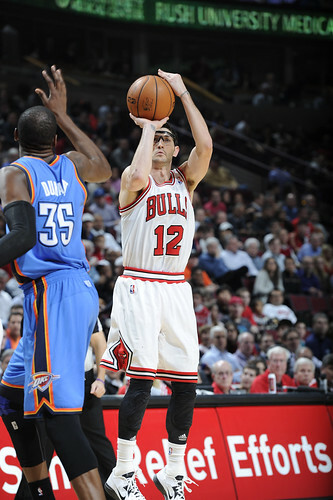 After opening the game ahead 12-4, the Bulls ended the first quarter tied at 24. 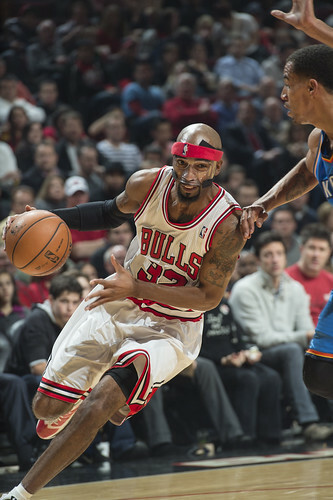 Oklahoma City then moved out to a 33-26 lead early in the second quarter before the Bulls regained control with Boozer having his best stretch of the game with a nice active save and scoring from Hinrich and Deng. The Bulls trailed by just one at halftime. 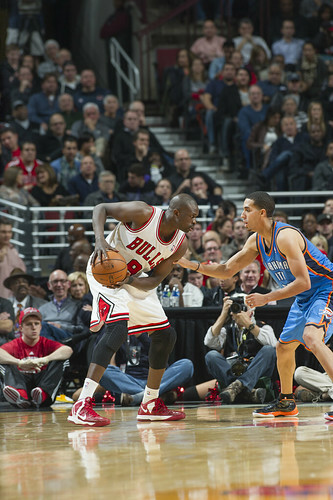 And in the third quarter behind accurate shooting from Hamilton and Hinrich and Russell Westbrook continuing to try to one up Hinrich with wild shots, the Bulls seemed to gain control of the game to take a 72-66 lead as Deng hit a three to end the third quarter. 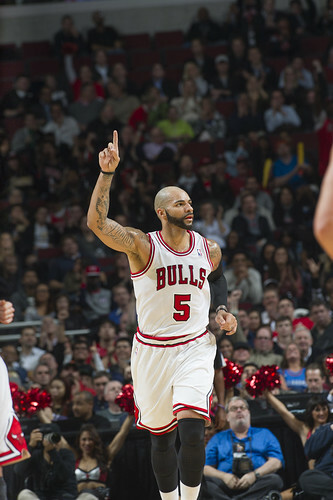 The Bulls made five of 15 threes, which isn’t that good. But given they were shooting 26 percent on threes and the league’s worst three point shooting team coming in, it was something. Still, they were in good position. But the Bulls missed their first seven field goal attempts to open the fourth while Eric Maynor repeatedly was beating Nate Robinson off the dribble for scores and fouls. With Maynor getting seven of his 10 points in the first five minutes of the fourth quarter, the Thunder was able to tie the game at 78 with both Westbrook and Durant resting. Meanwhile, Bulls coach Tom Thibodeau was desperately trying to sort out matchups with Hamilton coming back a minute into the fourth, then Boozer for Deng 90 seconds in and then Deng back two minutes later while Oklahoma City played all reserves other than Thabo Sefolosha. 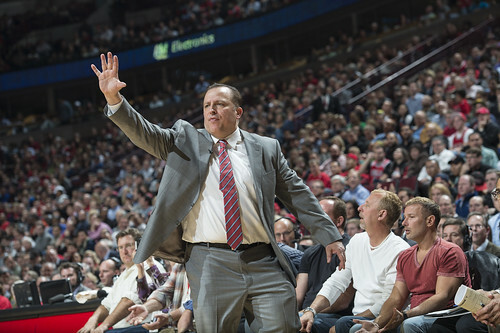 Thibodeau doesn’t name names, and he does love Chinese food. 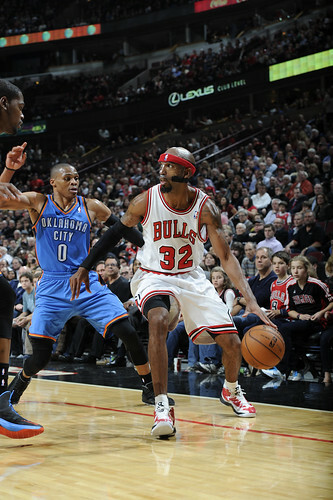 It was a good game for the Bulls, though players don’t like to talk that way about losses. But it was fun to watch and entertaining, and the Bulls competed evenly with arguably the best team in the Western Conference. But the reserve group that seemed promising in the preseason has struggled badly. Thibodeau played Nazr Mohammed just over a minute and Marco Belinelli just under six minutes. Robinson got 12 minutes, but was one of six and lost on defense. Jimmy Butler did have a good sequence coming in for defense after Kevin Martin got hot against Belinelli, and it may just take more time. Belinelli and Robinson have played primarily for losing teams, and sometimes players in those situations take a bit to understand what it requires to be in competitive situations. It was similar with C.J. Watson at first. One reason the Bulls reserves worked so well in 2010 was Kyle Korver and Ronnie Brewer had been with a top team and playing together, seemingly easing the transition period. The Bulls found the range early behind Hamilton and Deng, though they couldn’t control Ibaka, who kept stepping outside for jumpers and even made a three. Though the big story around the Thunder remained the trade of James Harden, the emergence of Ibaka was probably the biggest reason they let Harden go. In effect, they had to choose between the 6-10 shot blocker and another guard given few teams anymore will pay more than three players eight-figure salaries. 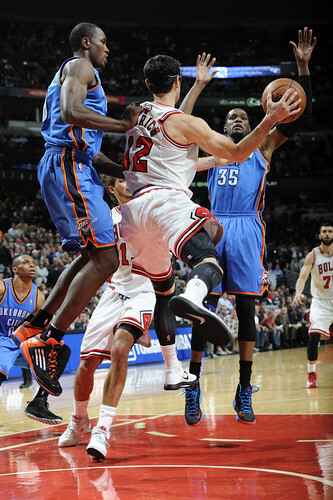 So the Thunder is employing Ibaka more on offense, and he finished with 21 points, nine rebounds and four blocks. Ibaka also anchors their best lineup, which they quietly finish games with so perhaps Kendrick Perkins won’t notice. Perkins had zero points in 20 minutes and sat the fourth quarter as the Thunder went with a Miami Heat type lineup with Ibaka at center and Durant at power forward. 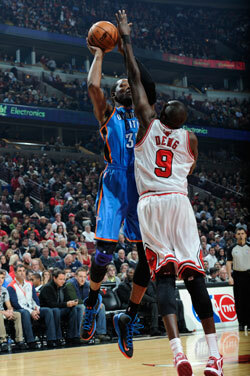 It leaves them with three guards, and Deng had some mismatches with Martin and Sefolosha. 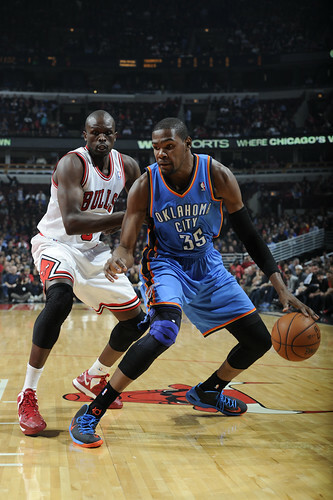 But that Oklahoma City lineup is its strongest and toughest to stop offensively. Thus those 31 fourth quarter points. You’d think if they played it more with Durant playing out of the post more and spreading the court with shooters they’d still run away with the West. But, shuuush, don’t tell them. Hinrich seemed to frustrate Westbrook early, which isn’t that hard to do, and Westbrook then seemed intent on showing Hinrich he was Russell Westbrook! Westbrook was one of seven in the first quarter with six dirty looks at the officials, coming up just three short of Dwyane Wade’s record for a quarter. Deng, though, was the closest the Bulls had — and have — to the go to guy, and his shot has come back as he made three of six threes and was perhaps more than ever the player the Bulls most looked for when they needed a score. And hopefully not without Deng, who was icing his left thumb after the game as he said he jammed it late in the game in a run in with Ibaka. It’s Deng’s left wrist which was the issue last season, and though Deng didn’t indicate any serious problem you never know about those things until the next day. 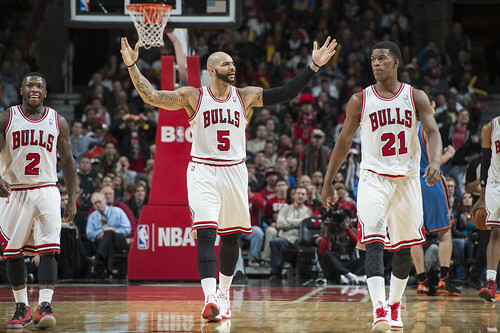 The Bulls are off Friday, and then play surprising Minnesota Saturday.